Trade in your rug! 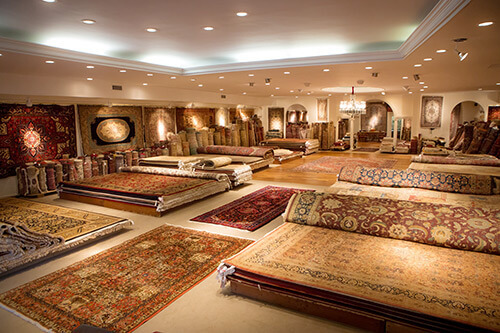 PTK Oriental Rug Center trades all types of rugs, new or old. We offer the highest general market value and highest cash amount *in a purchase. *All Orientals must be viewed and checked before an appropriate appraisal can be given. All rugs purchased from PTK can be traded in at market value paid with receipt at any time during the year (unless damaged extensively and minus the price of cleaning) towards another purchase. i.e., Moving into a larger house? Changing locations to a smaller area? Wanting to redecorate the same room, and have no use for the carpet purchased from us previously? NO PROBLEM! Stop by one of our stores today. We are located in Millburn, NJ, in Bryn Mawr and New Hope, PA.